Slim, feverish, and grim, the novella eulogizes the darkness of Germany’s history. How well do you know your neighborhood? The earth beneath you? These two questions lead to the cultivated, dream-state prose of Wolfgang Hilbig’s Old Rendering Plant. 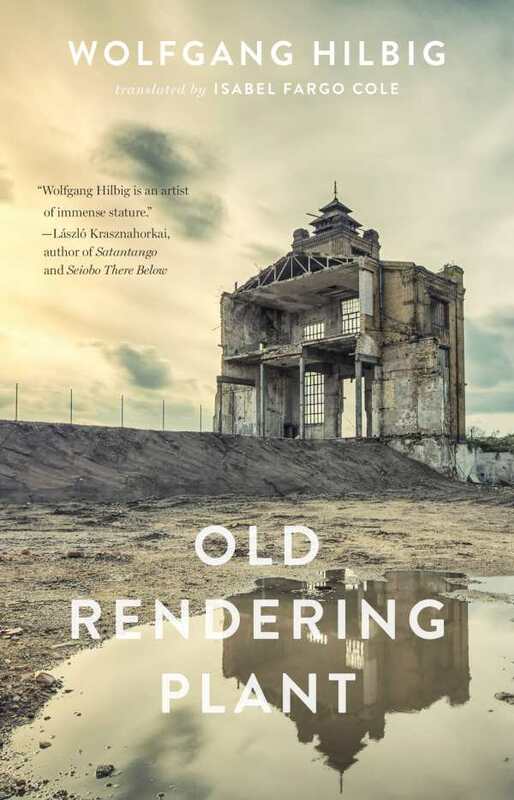 Translated by the gifted Isabel Fargo Cole, Old Rendering Plant brings the talents of one of Germany’s post-war writers to an English-speaking audience. Hilbig sets the ominous tone of a dark discovery from the opening paragraph. The unnamed young male narrator follows a brook that leads him to the outskirts of his rural German town, where shadows and whispers intimidate and beckon simultaneously. Pulled by curiosity, he is confronted with a plant where animals are butchered. This fact haunts him and ultimately prompts his memory to piece together scraps of an atrocious history. The bluntness of incisive observation—stench, mushy ground, remnants of bones, contaminated water—conveys the fear and disgust of the looming truth about the plant and the ground surrounding it. It’s difficult to ignore the monolithic barbarity of World War II as Hilbig delves deeper and deeper in the narrator’s memory and the shared memory of those who lived there. The soap that washes away animal flesh seeps up everywhere and flows through the brook, bringing the smell of “old, useless flesh” back to the front of his mind. Hilbig’s prose is fluid; the narrative is unbroken monologue, a terrifying combination of recollection and realization. This slim, feverish novella is grim. Because the final truth is revealed through a crescendo of memories, it’s less of a surprise about the history of the plant than a horrific confirmation of the truth. Hilbig chooses the abstruse structure of jumping between past and present, memory and reality, nightmares and dreams, all of which reinforce an untethered duality between the abstract and the concrete. Old Rendering Plant is a work that eulogizes the darkness of Germany’s history through psychogeography and a forbidding narrative. There aren’t many novels that capture this perspective of World War II nor its lingering effects on nature. Hilbig’s brave work illuminates how brutality doesn’t simply end, but leaves witness in its wake.